Q: Hey, Fictiorama guys! 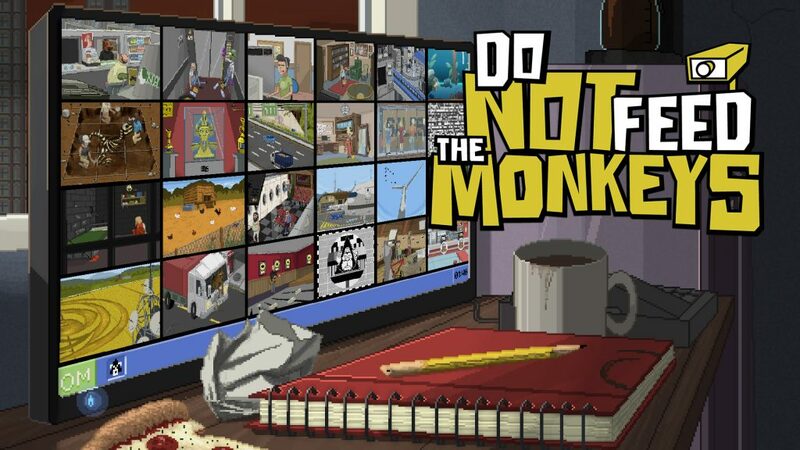 Does your new game, Do Not Feed the Monkeys, have a trailer? A: Sure it has… now! We are really happy with the trailer since it shows the game’s main mechanics and it gives the mood we want the game to transmit: becoming more and more hectic as the players progress in the Club and they get more and more “cages”. Besides, we have a new logo for the game and a new “official” promo image. You can browse all this info in the Steam page of the game, which was just released as well. Lots of new things! Get ready to spy on the monkeys soon and make your mind: will you feed them… or not?